Darrell (Usher Raymond) is one of New York's more popular disc jockey's, in fact he is in such high demand that in order to get him to play for you, an appointment will need to be made in advance. Growing up in the old neighborhood, Darrell spent a fair amount of time with Frank (Chazz Palminteri) and his family, now he is providing free DJ services for the family. The party is for Dolly (Emmanuelle Chriqui) and after spending time with the family, she is like a sister to Darell. Frank makes a speech congratulating his daughter for her achievements, as a soon to be graduating lawyer, Darell observes the makings of a hit taking place. As he sees the attempt against Frank's life, Darrell jumps in and successfully saves him. He ends up taking a bullet for the mob boss, and has to recuperate at the family residence. After the attempted assassination against Frank, Darell is asked to stand in as a bodyguard for Dolly as she travels around town. Because of his history with the family, Darell agrees to do whatever it takes to be the body guard. Frank had hoped to receive a different type of response, but was thankful that at least someone would be looking after his daughter. Now that Darell has accepted the responsibility of being a body guard, he must dress the part, and Frank makes certain that he has what he needs to pull it off. Dolly wants Darrell will ease up on the protection detail, however, he takes the responsibility very seriously and tells him as much. If Darell thinks his life as a bodyguard is going to be easy, he has another think coming, because the next morning he is aroused at 5:30am to head out to Yoga class with Dolly. Ron Underwood does the honors directing this comedy drama, with supporting roles by Matt Gerald as Jackie and Anthony Fazio as Frankie Junior. 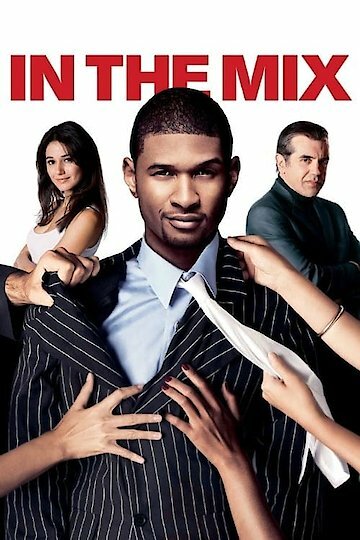 In the Mix is currently available to watch free on YouTube and stream, download, buy on demand at Amazon Prime, Amazon, Vudu, Google Play, FandangoNow, iTunes, YouTube VOD online.